The Civic Head of Bromgsrove, Helen Jones, showed true public spirit when she agreed to be pelted with wet sponges in the stocks (left). 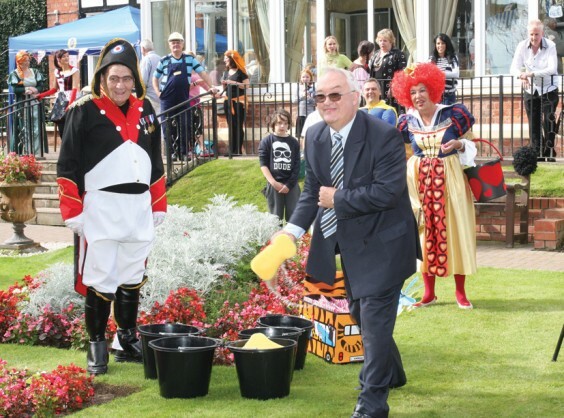 And the most enthusiastic sponge-thrower was her colleague, council leader Roger Hollingworth (below), during the summer fete at The Lawns residential home in Alvechurch. 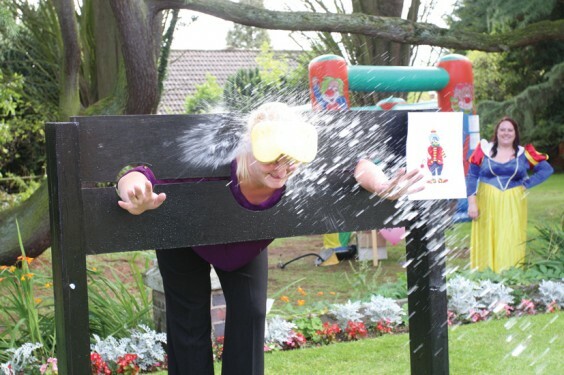 Coun Jones received a final soaking from Napoleon and the Queen of Hearts before Lawns owner Darren Oliver, dressed as Bananaman, took to the stocks for similar treatment.